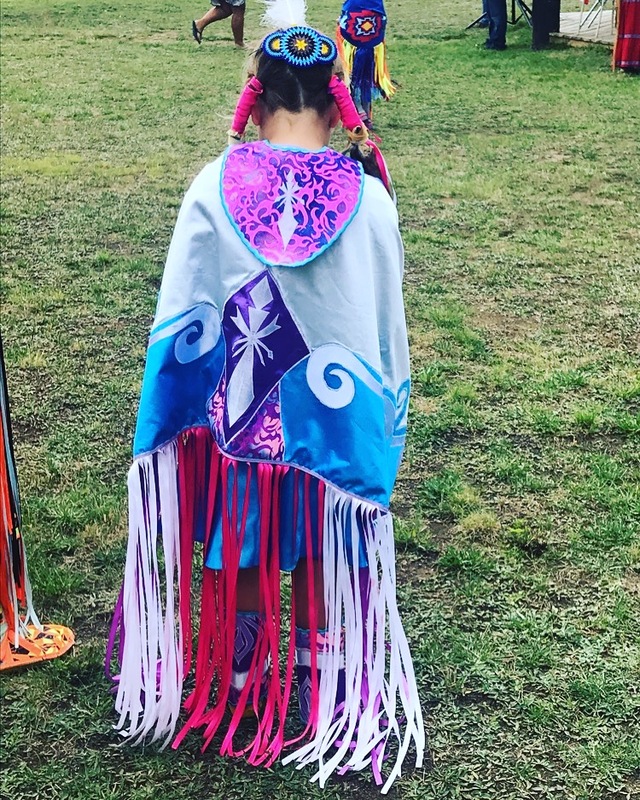 JEDI is really excited about the New Brunswick Pow Wow trail that starts in St. Mary’s First Nation, travels through many First Nation communities in New Brunswick and finishes up in Elsipogtog First Nation. If you follow the trail, you'll have a chance to experience the cultural pride, listen to the powerful beat of the drums and see the dancers dressed in their full regalia. JEDI wants to share this experience with you and to do this, we want to see your photos. JEDI is celebrating our 5th Annual Pow Wow Photo Contest this year! 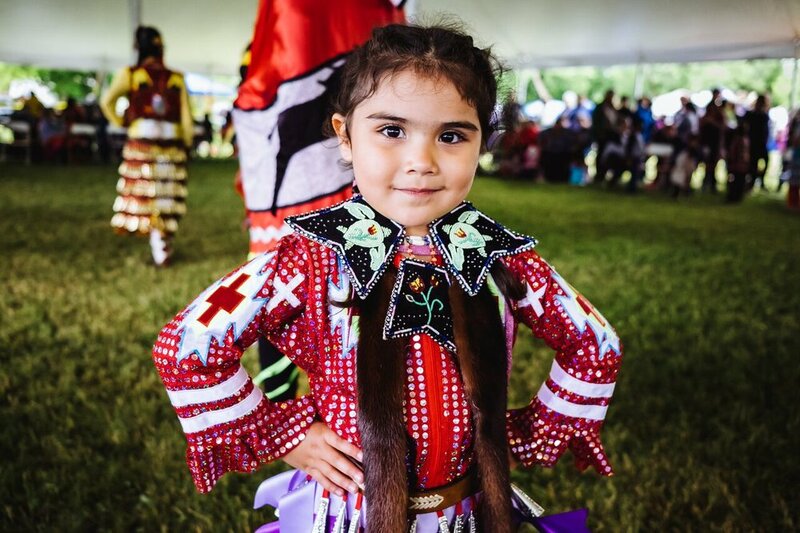 For each pow wow in NB we will have a photo contest where you can submit your pow wow photos or short videos to JEDI's Facebook page or to contests@jedinb.ca. Once our fans pick a favourite, we will award the person who submitted the winning photo or video a $50 gift card for a local business establishment. At the end of the Pow Wow trail we will award two grand prizes, one valued at $500 and one valued at $200. These prizes will be awarded by random draw to two people out of all of the submissions for any of the 11 contests. *Please note that the same person cannot win both grand prizes. Last year’s grand prize featured a beautiful Pow Wow Dancer painting by Nick Paul of St. Mary’s First Nation, an ash basket woven by Sheldon Polchies of Woodstock First Nation, an Apeman A80 Action Camera with accessories, a $50 Riverside Entertainment Centre gift card, a Turtle Islander hoodie designed by Wabanaki Clan Clothing, a variety of handmade soap and bath bombs from Red Woman Soap, a braid of sweetgrass, and some JEDI treats. Our prizes for 2018 will be announced soon! JEDI would like to thank RBC Royal Eagles for being our Gold Sponsor this year and ARC (Aboriginal Resource Consultants) for being our Silver Sponsor. We appreciate their support in making this contest a success! Each entry from all of the 11 contests is eligible to win the $500 GRAND PRIZE package or the $200 GRAND PRIZE package. (Please note that the same person cannot win both grand prizes.) All entries, from each contest, will be entered into a random draw for the Grand Prizes so even non-winners of the individual photo contests are eligible to win one of the grand prize packages The draw for the grand prize packages will take place in October 2018 after JEDI's final Pow Wow photo contest. The winner of the grand prizes will be notified through Facebook messaging or email. The grand prize winners must answer a mathematical, skill-testing question. If the question is answered incorrectly another winner will be chosen. The contest will be divided into 11 sub-contests; each one corresponding to a First Nation Pow Wow in NB. Each sub-contest will run for 6 days. No purchase required. During those 6 days, please submit your photos or short videos (no longer than 2 minutes) to JEDI at https://www.facebook.com/JEDINB or contests@jedinb.ca to be entered to win a $50 gift card to a local business. Each contest will run from the start date of the First Nation Pow Wow and continue on for 6 days (details below). During this time you can post photos or video of the local Pow Wow to JEDI’s Facebook page or email photos to contests@jedinb.ca. Each photo or video is worth one entry into the contest. At the end of the 6 days, once we receive all of the submissions, we will put all of the submissions into an album on our Facebook page and people will have 5 days to vote (“Like”) their favourite. The photo or video with the highest number of votes will be the winner and will win a $50 gift card to a local business. Updated contest information will be posted on JEDI’s Facebook page as each contest starts. Be sure to “Like” JEDI’s Facebook page to stay up-to-date on all the Pow Wow contests and what’s happening with JEDI. The individual contests run until September 19, 2018. All submissions must be made by this time. The final individual contest prize will be announced after September 24, 2018. The grand prize draws will occur in October. By entering your photo or video into the contest, you are granting JEDI permission to use the photo or video and your name for promotional purposes. JEDI will be sharing the entries through our social media channels. Winners of the sub-contests will be notified through Facebook messaging or email. Once winners have been notified, gift cards will be mailed out to the winners or arrangements can be made to pick up the gift card at the JEDI office at 150 Cliffe Street, Fredericton. The winners of the grand prizes will be notified through Facebook messaging or email. The grand prize winners must answer a mathematical, skill-testing question. If the question is answered incorrectly another winner will be chosen. Once the grand prize winners have been notified, arrangements will be made to deliver/pick up the prize. Prizes cannot be redeemed for cash. Odds of winning depend on the number of eligible entries received. Terms and conditions are subject to change without notice. Void where prohibited by law. Contest open to legal residents of Canada only. The RBC Royal Eagles and Aboriginal Resource Consultants are proud supporters of JEDI and the New Brunswick Aboriginal Community. These two organizations have generously provided the funds to support the JEDI Pow Wow Photo Contest. 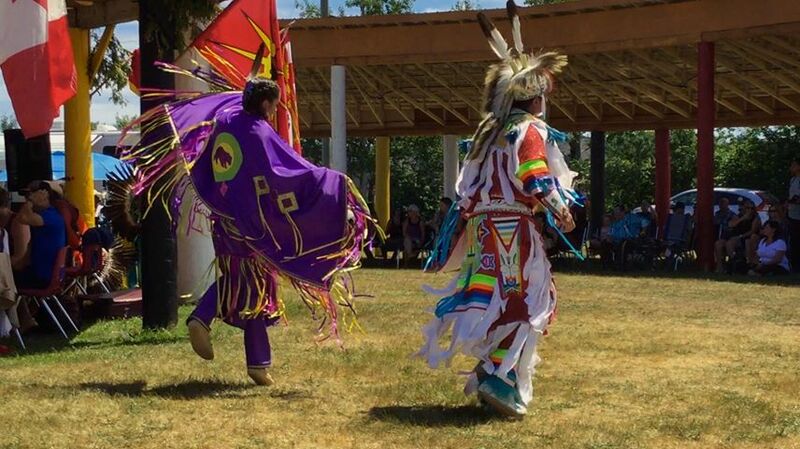 St Mary's Pow Wow photo submitted by Canadian Mosaic. 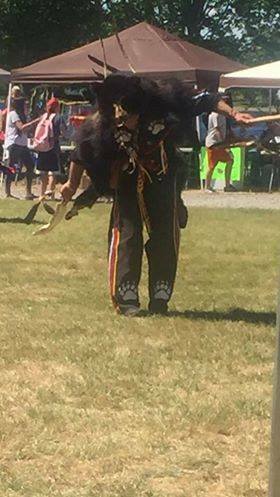 Metepenagiag Pow Wow photo submitted by Autumn Lee Murphy-Cloud.